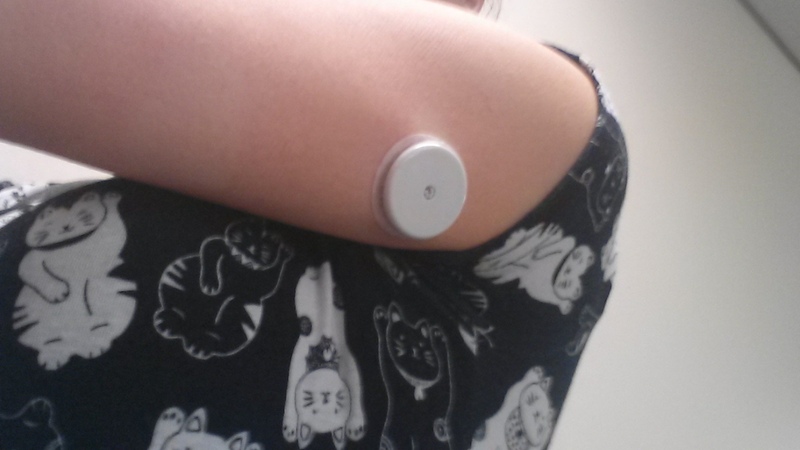 So for the past 2 weeks I have been a guniea-pig with this glucose monitoring device in my arm. 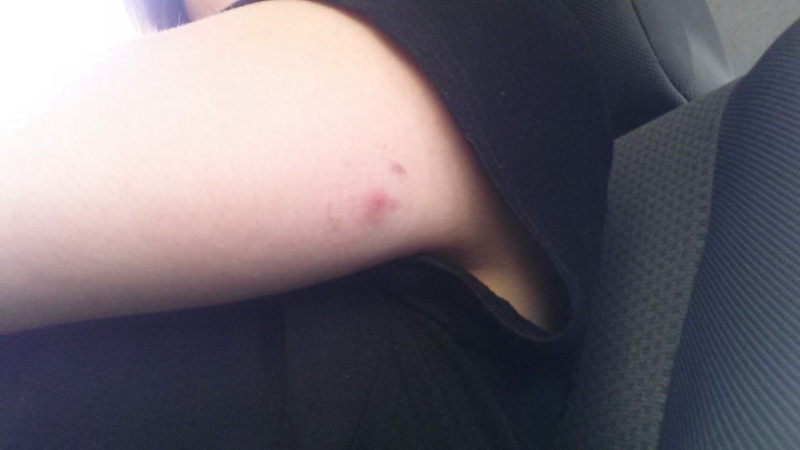 Initially my endocrinologist wanted to put the casino token sized 'button' into my arm just before my lungaversary but I explained that I had planned to wear a cute dress to my party and couldn't possibly have it in my arm. So, I went back on the Monday and had it inserted. Trial name: Glucose Variability Pilot Study for the Abbott Sensor Based Glucose Monitoring System-Professional. Diabetes type: Type 2 diabetes. Volunteers in the study will wear a Libre Pro sensor in the upper arm for two weeks, during which time they will go about their normal daily activities and follow their typical diabetes management plan. What it’s testing: The trial is testing a “professional” version of the FreeStyle Libre, which is a product (already launched in Europe) intended as a replacement for blood glucose meters that does not require fingersticks. What’s the trial trying to show? The study’s main objective is simply to ensure that the Libre Pro is able to gather accurate glucose data over a full two-week period. In short, the Libre Pro would give health care providers a continuous, two-week snapshot of the patient’s glucose data. The consumer product is hotter than hot in the EU (rumors were flying when we were in the EU recently – some said as many as 50,000 people on the wait list for the product, which is not available to purchase in the EU for those new to the system). In general my results were pretty good. Above shows the average daily patterns that my blood glucose levels were sitting at during the 2 week period. As you can see it starts off perfectly at midnight but drops through the night and then at about 8am it starts to rise. What this showed us was that I am injecting too much long acting insulin which is causing my sugars to drop too low in the night. Then when I wake up, anything I eat results in a spike of blood glucose. I have now reduced my insulin from 33units of lantis (long acting insulin) to 27 to ensure that my sugars don't drop too low. The rest of the day they run a bit high because they are still trying to get over the morning spike. Hopefully now that I have adjusted my insulin dose all my reading will improve. The chart above shows my daily results BEFORE I adjusted my insulin dose. The red areas are when my sugar levels drop too low and the yellow shows when they are too high. As you can see, most nights my suagr levels are too low. Most of the high readings can be explained by me eating too many carbs! This second chart shows my results AFTER I adjusted my insulin dose. There are still a few lows so we decreased my dose even further. In the early hours of Saturday morning, you can see that my sugar levels run very low all night, this is what happens when I am active and don't eat. When out at night, it's important to eat every few hours like I would during the day - major admin but the results show how important it is. Freedom doesn't look pretty but I'm glad to be rid of the little button! And there you have it! I found the data very interesting and this device is going to be an amazing tool for diabetics to better monitor their blood glucose levels.